The sand ceremony is becoming a popular and cherished way to celebrate the unity of two families coming together. 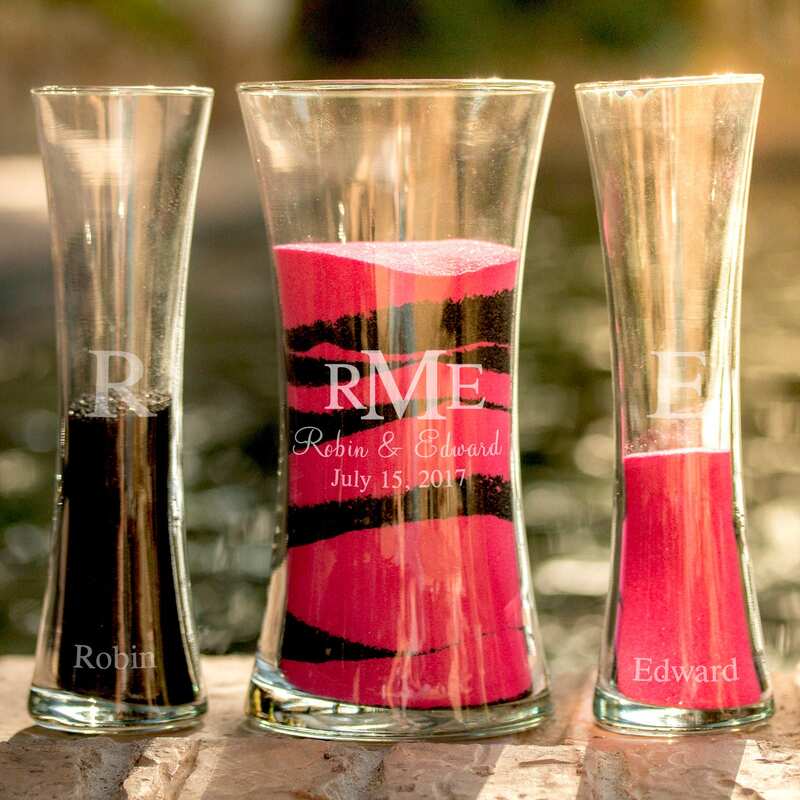 This kit is designed especially for the ceremony with 2 smaller curved glass cylinders and a larger one, with engraving of your names and date, for the joining of all 3. For a personalized touch, the unity sand ceremony kit can be customized with your the couples names, their wedding or anniversary date, a monogram, and an initial on each side piece. All on the large cylinder. Their initials and names will be elegantly presented on the side pieces. *Please Note: Hand blown glass. Expect minor bubbles and swirls. Substantial weight. 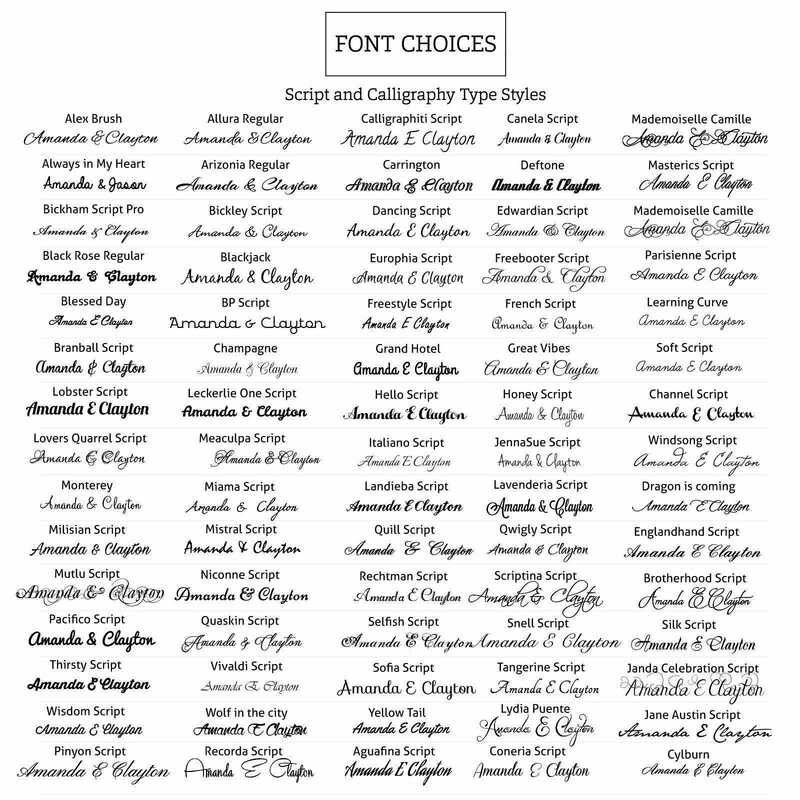 Variations will occur on styles due to its hand-crafted nature. Due the nature of engraved glass, this item will resemble frosted glass etching after being engraved. This elegant unity sand set includes: one 8" tall glass curved vase that measures 4" across the top and two 8.00" glass vases that measure 2" across the top. 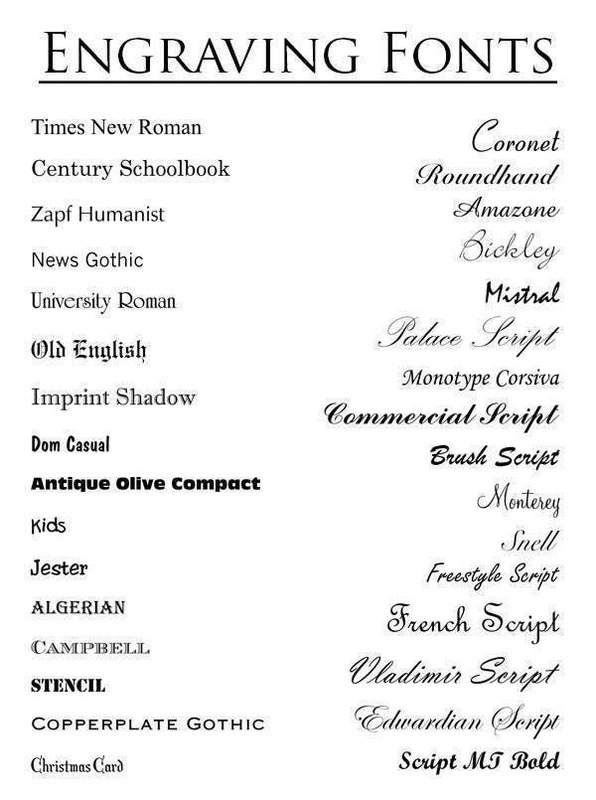 Engraving Options: May be engraved with a monogram, two names (max 24 characters) and a custom date (max of 24 characters) with their matching initials on the side vases at no additional cost.